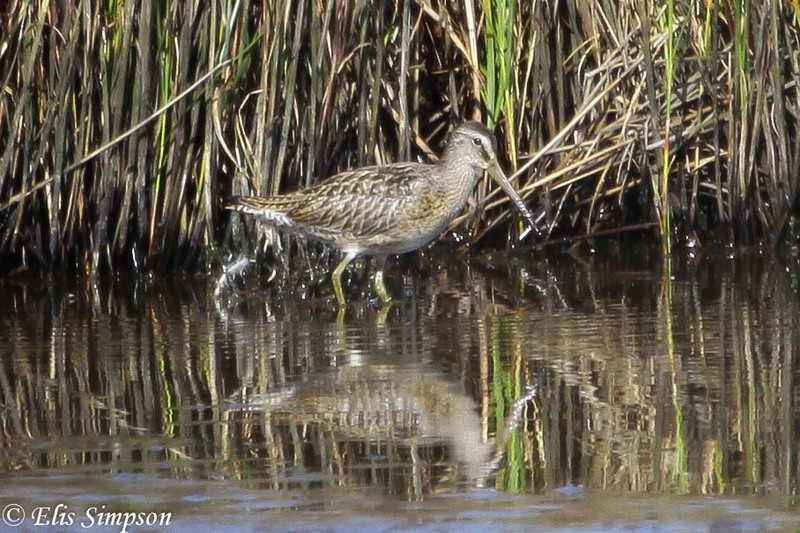 A dowitcher at Lodmoor was at first thought to be Long-billed, this being the default species as they are by far the most common of the American species pair to be seen in the UK. 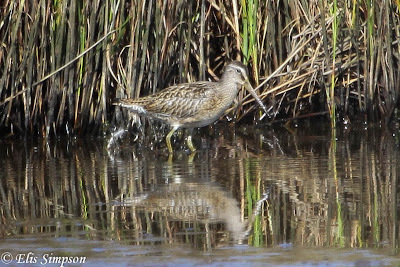 However some doubt crept in on Tuesday and the bird was reported just as dowitcher sp. 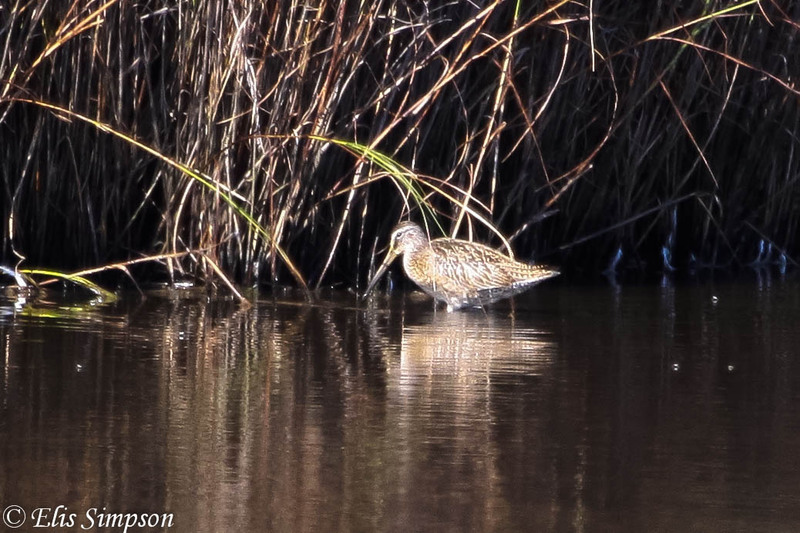 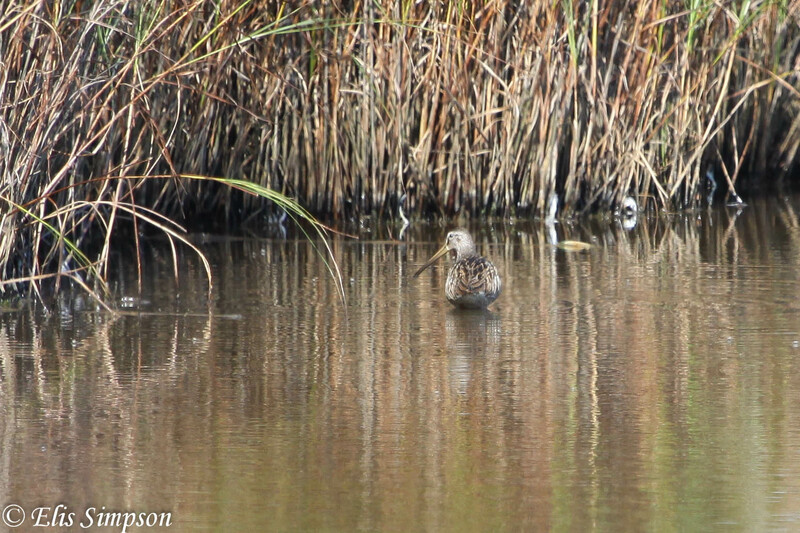 We decided to keep an eye on the story and sure enough on Wednesday the bird was announced as Short-billed Dowitcher. We lept into action and sped from North Wales to the Dorest coast, a journey of 7 hours, non stop. We were rewarded with good views (eventually) of the juvenile Short-billed Dowitcher. 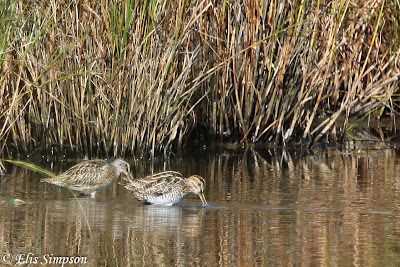 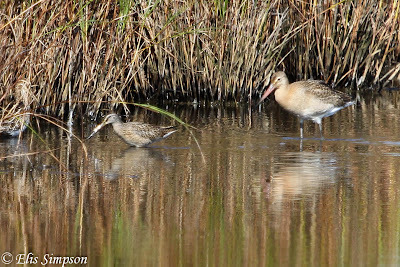 In juvenile plumage the two American dowitcher species are actually fairly straightforward to identify. The tertials in Short-billed are notched and well marked a feature that Long-billed doesn't show, and perhaps more difficult to see is the ratio between the amount of white and black in the barring on the tail. In short-billed the barring shows as much, or more, white than black, where Long-billed shoews less white than black. 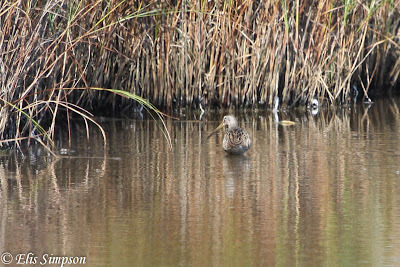 Of course good views are needed to see this feature which can be hard to tell in the field and much easier to judge in a photograph. 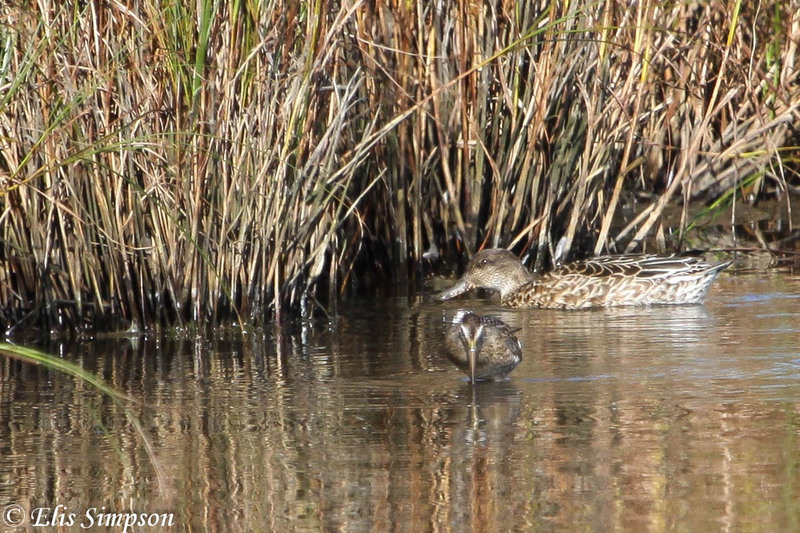 Notched tertials and the black/white tail pattern can be seen (just) in this photo. 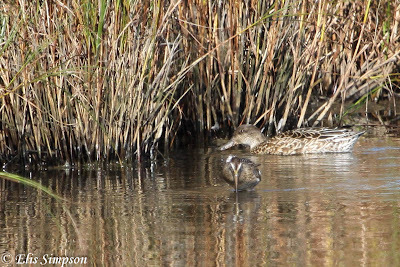 Its diminuitive size can be seen here when it is next to a teal. 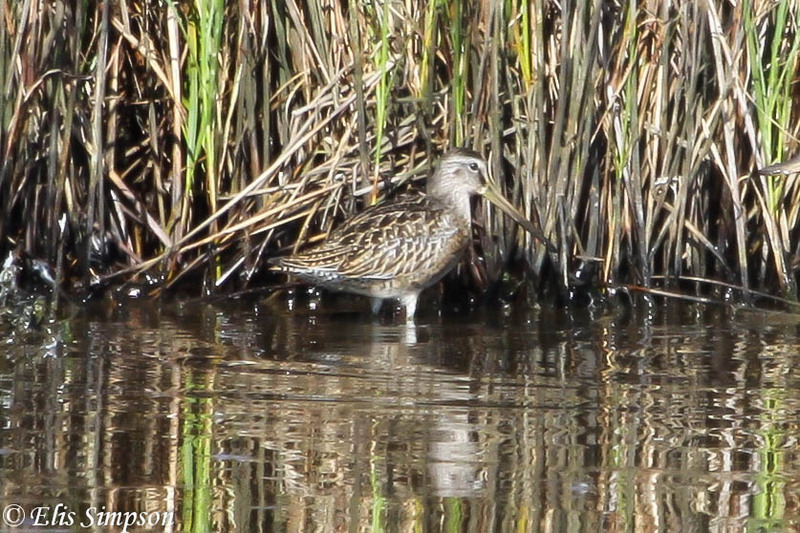 It appeared at one time accompanied by Black-tailed Godwit and a Common Snipe giving a good size comaprison. 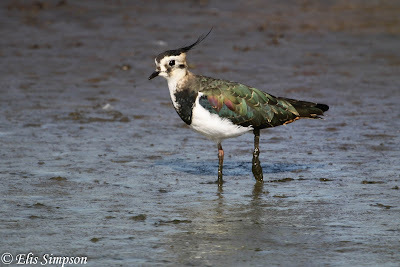 The only other wader we saw there was northern Lapwing. 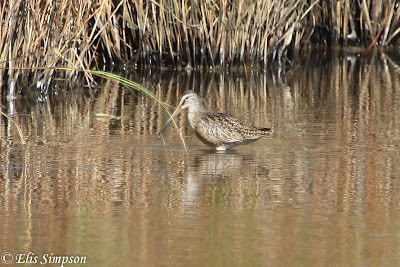 Although the Short-billed Dpowitcher was not a new bird for the year having seen one in the USA in May, it was a new British bird for both Elis and me, I was delighted by the tick and by the views we had of the bird.